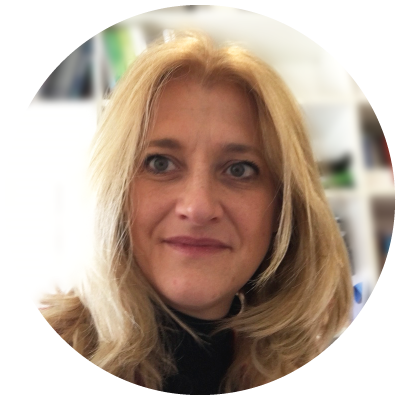 Linda Vignozzi is Associate Professor in Endocrinology at the University of Florence, Department of Experimental and Clinical Biomedical Sciences where she coordinates the Gynaecological Endocrinology Research Unit in the Sexual Medicine and Andrology Unit. At the University of Florence she received her MD and PhD in Endocrinology and Metabolic diseases. At the School of Endocrinology and Metabolism, University of Pisa, she received her Postgraduate Diploma in 2011. Prof. Vignozzi has written several book chapters and invited reviews in the field of male and female sexual medicine, hypogonadism and metabolic diseases, prostatic diseases, including BPH, human reproduction. She has served as a member of the Scientific Committee of the Italian Society of Andrology and Sexual Medicine (2009-2012), member of the Executive Committee of the Italian Society of Andrology and Sexual Medicine (2012-2016), and a member of the Scientific committee of the Italian Society of Endocrinology (SIE; 2015 -2017). Prof. Vignozzi is currently a member of the Executive Committee of the Italian Society of Endocrinology, a member of the Scientific Committee of the Italian Society of Obesity (SIO; 2014 at present); the Chair of “Female Sexual (dys)function” scientific subcommittee of the International Society for Sexual Medicine, and Chair of “Female sexual health and dysfunction” scientific subcommittee of the European Society for Sexual Medicine (ESSM). In addition, she coordinates the committee dedicated to “Endocrinology and Female Sexuality” of the Italian Society of Andrology and Sexual Medicine (SIAMS).